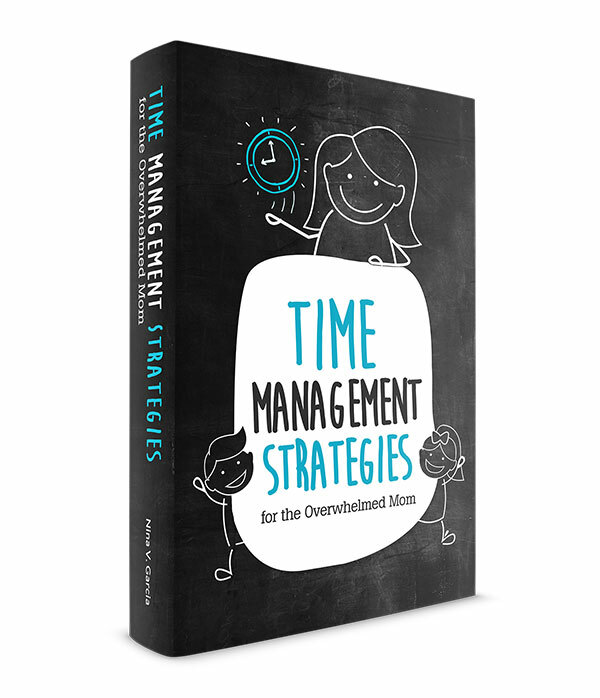 Want to help your kids remember the information they learned for the long run? Get tips on how to make learning stick and encourage real learning. I’ve done my share of cramming for tests, memorizing formulas and drilling information a few minutes before an exam. But did I really learn anything? After all, I can barely remember the details of the American Revolution or the anatomical parts of a frog (shudder). 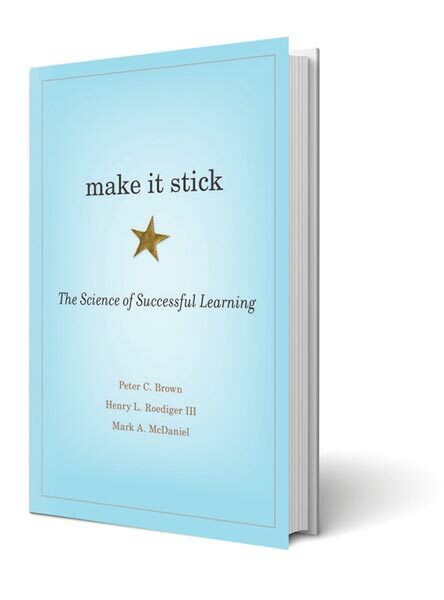 This is the topic of a recent book I read, Make It Stick: The Science of Successful Learning by Peter C. Brown, Henry L. Roediger III, and Mark A. McDaniel. 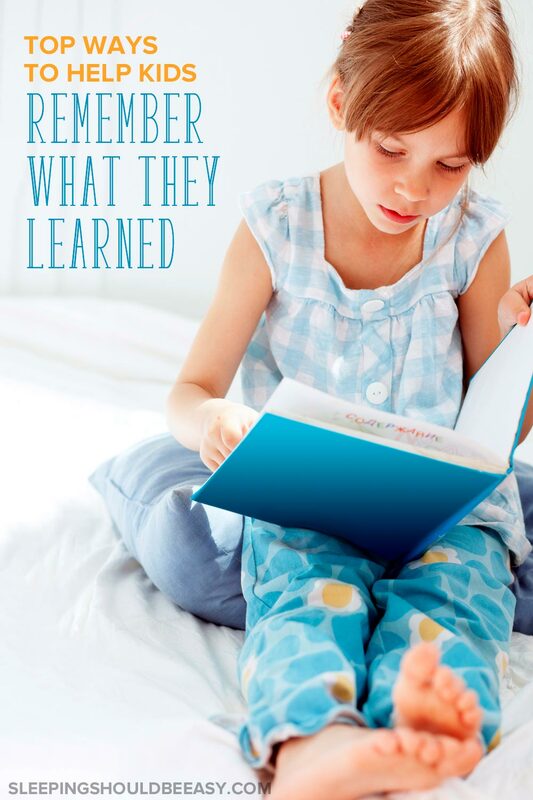 The authors gathered data on how kids not only learn but remember that knowledge long after they first learned it. And it turns out that many of the common ways kids gather information don’t lend themselves to long-term learning. That there are more effective ways to make sure your child isn’t just learning for an exam, but learning for the sake of it. I found several techniques I tried with my young kids (three- and seven-years-old). I’ve since been applying these tips and have seen not just fantastic new ways to learn, but effective ones as well. Reading with your child (and encouraging him to do so on his own) has so many benefits. But if you want to take it up a notch, finish a reading session with a question about the book. 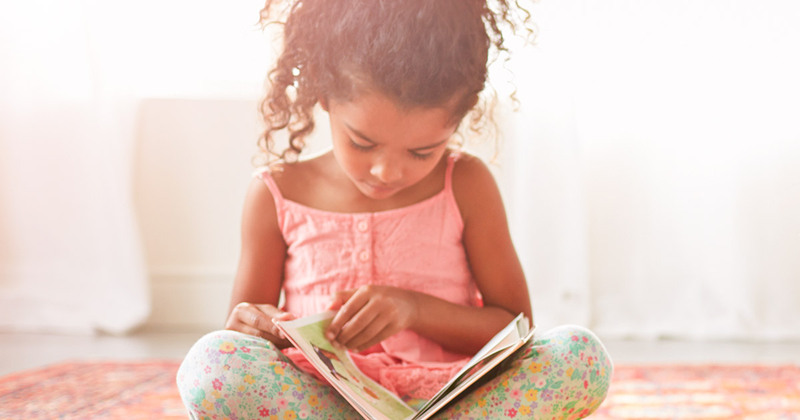 Asking questions about the book forces your child to recall what she just read. She has to remember facts or form her own theories. You can ask for information found in the book (“Who made Brian feel better?”) or even her own theories (“What could Madison have done better so Brian wouldn’t feel left out?”). My first-grader, like many kids, is learning sight words in school. Not only does he have to know how to read the words, he also has to spell them. So, the days when he comes home with sight words become spelling sessions for us. First, I first show him the list of words, not only to make sure he can read them, but so he can review how they’re spelled. Then, I quiz him on the words—I say a word and he writes it in a notebook. And finally, I ask him to self-correct the words he missed. I simply show him the correct word next to the one he wrote and have him explain or write how his is different. 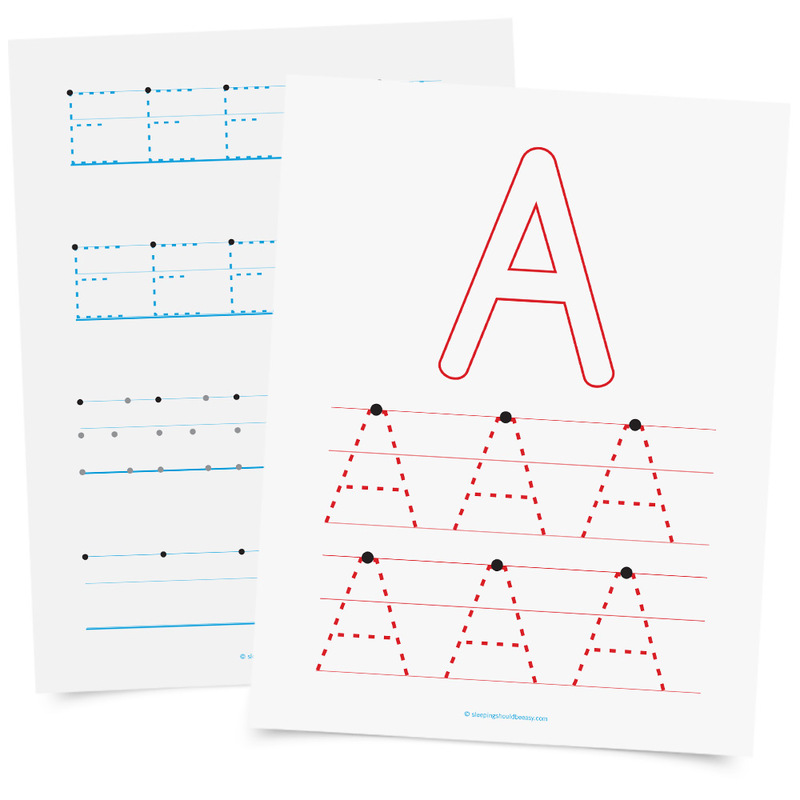 Get 6 ingenious strategies for teaching sight words. Sometimes we have the wrong goal in mind. We think kids should always have the right answers every time, or that mistakes or difficult problems should be avoided. Instead, the authors found that kids remember more information even if they get the wrong answers at first. Turns out struggle and having to try forces kids to remember the correct information once they get it. Allow your child to struggle and try, and then give feedback or the correct answer. Give your child the problem and have him solve it first, all on his own. He’ll likely make mistakes on the problem, but that’s fine. Then, show him one of the ways to solve the problem (there’s always more than one way to solve a problem!). And finally, give another similar problem (maybe using different numbers) and ask him to solve it. Better yet, ask him to show you two or more different strategies on how to solve it. Not only do mistakes show us how to do things correctly, they also help us remember the information once we learn it. Get a list of the top math books for kids. My twins are learning how to read and write in preschool. So at home, I’ll write a word which they then read and write as well. At first, it might make sense to write “bat, cat, fat, rat” to hone in on reading and writing these words. But the technique that will actually help them remember what they learned is to mix things up. It’s easy to remember patterns, but we’ll likely forget them quickly in the long run. But if we give ourselves a variety of different problems, then we’re more likely to remember. The authors call this “desirable difficulties.” It’s challenges like these that will help kids truly learn and understand. So now when I write these words with my kids, I don’t use the same patterns. Instead, I might write “bat, cup, six, pen.” This pushes them not to get too comfortable with using the same patterns. Instead, they need to be alert and recall different parts of their memory to answer correctly. One of the best ways to help your child remember information is to encourage her to write a story. This teaches her how to take all that information she learned and put it together into one final product. Write an outline. Have your child jot quick notes about the information she gathered. This can be simple words, drawings or even props. Write the first draft. Now your child is ready to begin writing the sentences of her story. Don’t correct misspelled words, information she left out or an incorrect order. Like how it is for most of us, first drafts are her attempt to collect all the notes she gathered in one place first. Edit. Next, help your child edit what she wrote. Now she can correct misspellings, rearrange the order, or fix any misinformation. Finalize. Finally, help your child type her story on your computer. She’ll enjoy using your computer and seeing her scribbles turned into a “real” story. You can even set up your Word document in a book format and print it once it’s done. As an added bonus, have her draw pictures in her book, just like a real one. I love learning about how kids process information and anything about education. I especially like trying new techniques to help my kids not only learn but do so in effective ways. I’ve never been a fan of cramming for tests, drills and memorization where the knowledge disappears soon after. Instead, I prefer fun and creative activities like those above, where kids can gain and retain the information, long after they first learned it. Tell me in the comments: Which of these activities would you try with your kids? Where does your child struggle the most with remembering information? Nina, these are some wonderful ideas. It might also help to be aware of any learning difficulties that you child might have. These five methods sound like great ways to find out what your child might specifically be struggling with. Yes it’s a good idea to check for learning difficulties as well.